This is perfect timing for this particular teaching as it is related to the TORAH Portion for this week (“HA’AZINU/Listen or Hear”). Additionally, this is the season for the Feast of Sukkot/Tabernacles during which time a lot of sacrifices were carried out unto YAHUVEH GOD including animal sacrifices as well as water sacrifices. It links in with the WATER LIBATION CEREMONY. YAHUSHUA HA MASHIACH spoke at one Water LIBATION CEREMONY as evidenced in John 7 (see below). WE NEED TO BE WATERED DAILY WITH THE TEACHING OF YAH’S WORD! 37 On the last and greatest day of the Feast, YAHUSHUA stood up and cried out loudly, “If anyone is thirsty, let him come to ME and drink. 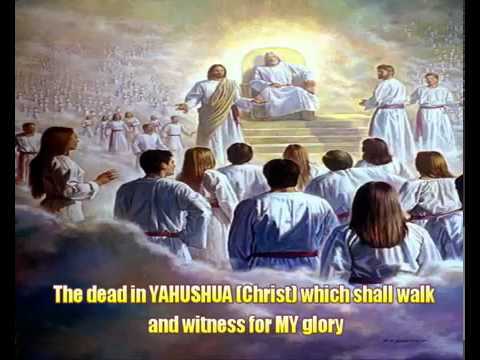 38 Whoever believes in ME, as the Scripture says, ‘out of his innermost being will flow rivers of living water.’” [a]39 Now HE said this about the RUACH, whom those who trusted in HIM were going to receive; for the RUACH[b] was not yet given, since YAHUSHUA was not yet glorified. 19 Adonai spoke to Moses and Aaron saying, 2 “This is the statute of the Torah which Adonai commanded saying: Speak to Bnei-Yisrael that they bring to you a flawless red heifer on which there is no blemish and on which has never been a yoke. 3 Give her to Eleazar the kohen. He will take her outside the camp and slaughter her in his presence. 4 Then Eleazar the kohen is to take some of the blood on his finger and sprinkle it seven times toward the front of the Tent of Meeting. 5 “While watching, he is to burn the heifer, her hide, flesh, blood and refuse. 6 The kohen is to take some cedar wood, hyssop and scarlet wool, and cast them into the midst of the burning heifer. 7 “Afterward, the kohen is to wash his clothes and bathe his flesh with the water, and afterward he may come back into the camp. Still the kohen will be unclean until evening. 8 Also the one burning it is to wash his clothes and bathe his flesh with the water, and he will be unclean until evening. 9 “A clean man is to gather up the ashes of the heifer and put them in a clean place outside the camp. They are to be for the community of Bnei-Yisrael to use as water of purification from sin. 10 “The one who gathers the heifer’s ashes is also to wash his clothes as well as be unclean until evening. It will be a permanent statute for Bnei-Yisrael and for the outsider living among them. 11 “Whoever touches any dead body will be unclean for seven days. 12 He is to purify himself on the third day and on the seventh day. Then he will be clean. But if he does not purify himself on the third and seventh days, he will not be clean. 13 Anyone touching the dead body of any man, who does not purify himself, defiles Adonai’s Tabernacle, and that person will be cut off from Israel. Because the cleansing water was not sprinkled on him, he is unclean and his uncleanness will remain on him. 14 “This is the Torah for whenever a person dies in a tent. Anyone entering the tent or anyone inside the tent will be unclean seven days. 15 Any open container not having a lid fastened on it will also be unclean. 16 Anyone out in the open field who touches a dead body, whether killed by a sword or was killed by a natural cause, or touches a human bone or a grave, shall be unclean seven days. 17 “For the unclean one, they are to take some of the ash of the burnt purification offering, and pour some fresh water into a jar. 18 Then a clean person will take some hyssop, dip it into the water, and, sprinkle it on the tent, all of the furnishings, and the people who were there, as well as the one touching the bone, the one killed, the corpse or the grave. 19 The clean person will sprinkle the unclean one on the third and seventh days. He is to purify himself on the seventh day, and on the seventh day he is to wash his clothes and bathe himself in water, and at evening he will be clean. This teaching is inspired by TORAH Parashah, “Ha’azinu/Give Ear or Listen” as well as the Festival of Sukkot/Tabernacles. Moshe/Moses compared the people of Israel to the grass and the TORAH that he had taught them to life-giving water. Moses prayed that his teaching would be to Israel like rain and dew, which water the grass and vegetation: “Let my teaching drop as the rain, my speech distill as the dew, as the droplets on the fresh grass and as the showers on the herb” (Deuteronomy 32:2). 37 On the last and most important day of the festival, YAHUSHUA was standing in the temple courtyard. HE said loudly, “Whoever is thirsty must come to ME to drink. 38 As Scripture says, ‘Streams of living water will flow from deep within the person who believes in ME.’” 39 YAHUSHUA said this about the SPIRIT, whom HIS believers would receive. The SPIRIT was not yet evident, as it would be after YAHUSHUA had been glorified. 6 I planted, Apollos watered, but YAH gave the increase. 7 So neither the one who plants nor the one who waters is anything, but only YAH who makes things grow. Remember the foolish gardener who planted but did not water and expected fruit? He was pleased when they began to grow, and he assumed that he could simply wait for the harvest. He did not think to water the young plants again. Many believers in and followers of YAHUSHUA HA MASHIACH behave like the foolish gardener. They advocate faith in MASHIACH/MESSIAH and find relationship with YAH (or ELOHIM), but they do not nurture that faith and relationship by regularly watering it with the study of the WORD OF YAH. To live successful lives of faith, we need to drink from the water of the Holy Biblical Scriptures on a regular, daily basis. 1 In the beginning was the WORD. [a] The WORD was with YAH (or ELOHIM), and the WORD was YAH (or ELOHIM). 2 HE was with YAH (or ELOHIM) in the beginning. 3 All things were made through HIM, and apart from HIM nothing was made that has come into being. 4 In HIM was LIFE, and the LIFEwas the LIGHT of men. 5 The LIGHT shines in the darkness, and the darkness has not overpowered it. 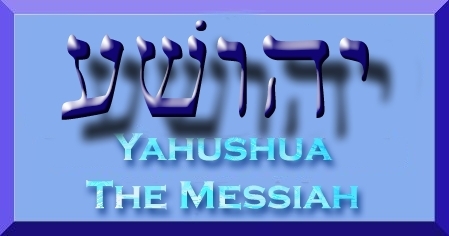 YAHUSHUA HA MASHIACH is The WORD of YAH (or ELOHIM)! YAHUSHUA HA MASHIACH is The TORAH! 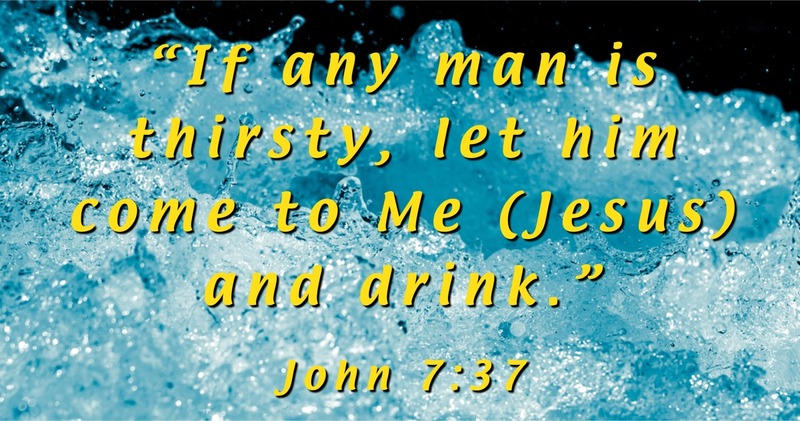 YAHUSHUA HA MASHIACH is The LIVING WATERS from which we can drink and never be thirsty again! 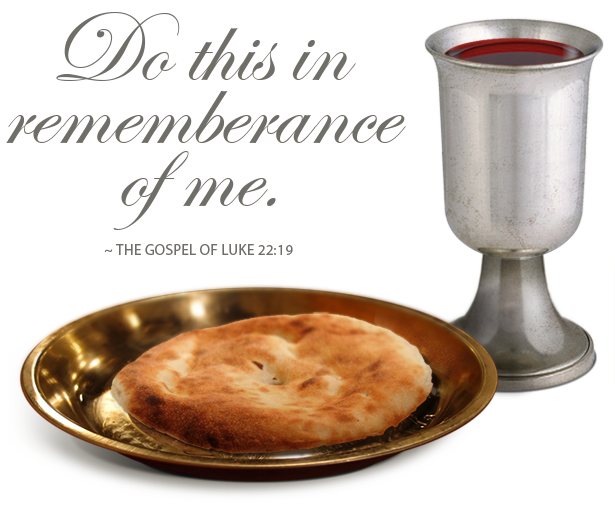 YAHUSHUA HA MASHIACH is the BREAD OF LIFE which we can eat and never be hungry again! YAHUSHUA HA MASHIACH The WORD of YAH (or ELOHIM) is Life! The life is The True LIGHT of YAH! YAHUSHUA HA MASHIACH The WORD of YAH (or ELOHIM) is The True LIGHT of YAH (or ELOHIM)! In the First Book of Adam and Eve, we see The WORD of YAH (or ELOHIM) recorded to have appeared to Adam and Eve on several occasions to comfort as well as save them. It is recorded that on the day on which Adam and Eve sinned against YAH Almighty, that was the last day on which Adam and Eve saw ABBA YAHUVEH GOD panim-a-panim/face-to-face. The WORD of YAH (or ELOHIM) saved Adam and Eve from the serpent that had tempted them to eat the forbidden fruit in the Garden of Eden. After they were banished from the Garden, the serpent went after them in anger and revenge because of the curse which ABBA YAHUVEH had placed on it and all its descendants. Adam and Eve were helpless as the serpent had suddenly become bigger than them and was too strong for them to fight against. The WORD of YAH which we now know that has been revealed to be YAHUSHUA HA MASHIACH came from the Shammayim/Heavens and saved them from the attack of the serpent. The WORD brought them back to life. Praise YAH! 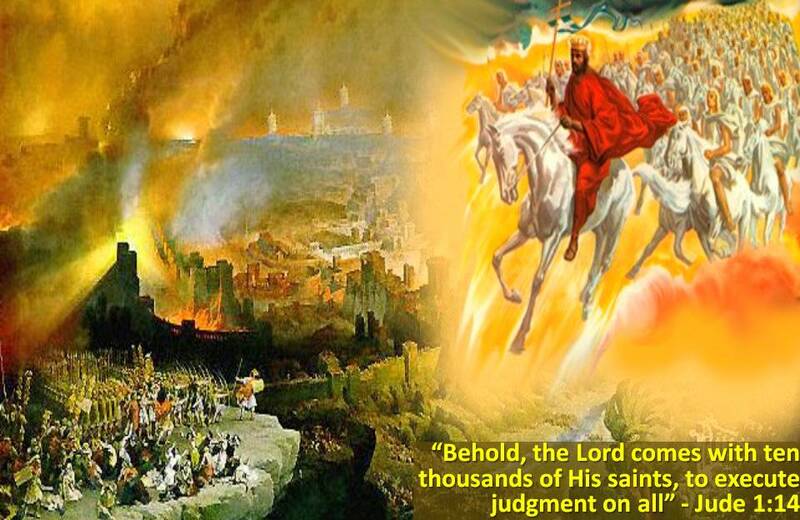 As time went on, The WORD of YAH appeared to them and prophesied about HIS First Coming to the earth as a ben-Adam/human being so as to save benei-Adam/mankind from the power of sin and eternal death! The WORD of YAH (or ELOHIM) is a powerful double edged sword which can pierce through anything whether difficult or soft! 12 YAH’S WORD is living and active. It is sharper than any two-edged sword and cuts as deep as the place where soul and spirit meet, the place where joints and marrow meet. YAH’S WORD judges a person’s thoughts and intentions. 12 For the WORD of YAH is living and active and sharper than any two-edged sword—piercing right through to a separation of soul and spirit, joints and marrow, and able to judge the thoughts and intentions of the heart. 10 Finally, be strong in the Lord and in His mighty power. 11 Put on the full armor of God, so that you are able to stand against the schemes of the devil. 12 For our struggle is not against flesh and blood, but against the rulers, against the powers, against the worldly forces of this darkness, and against the spiritual forces of wickedness in the heavenly places. 13 Therefore, take up the full armor of God, so that you may be able to resist when the times are evil, and after you have done everything, to stand firm. 14 Stand firm then! Buckle the belt of truth around your waist, and put on the breastplate of righteousness. [a] 15 Strap up your feet in readiness with the Good News of shalom. [b] 16 Above all, take up the shield of faith with which you will be able to extinguish all the flaming arrows of the evil one. [c] 17 And take the helmet of salvation[d]and the sword of the Spirit, which is the word of God. 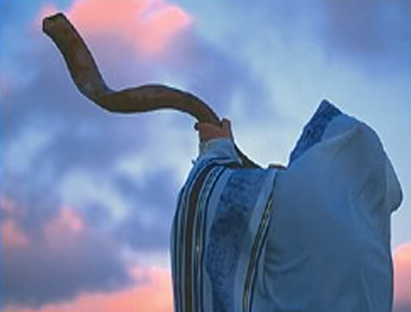 [e] 18 Pray in the Ruach on every occasion, with all kinds of prayers and requests. With this in mind, keep alert with perseverance and supplication for all the kedoshim. 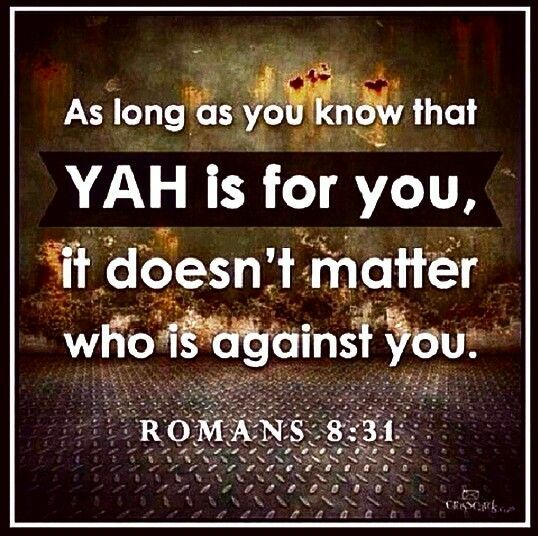 The WORD of YAH is a shield, our shield and defender! 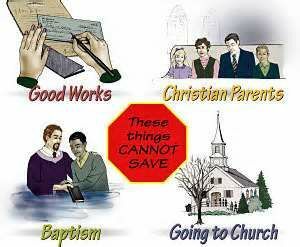 who saves those whose motives are decent. an El who is angered by injustice every day. 12 If a person does not change, Elohim sharpens his sword. By bending his bow, he makes it ready to shoot. A just God examines hearts and minds. Savior of the upright in heart. a God who is indignant every day. 1 I love you, O Yahweh, my strength. 3 Yahweh should be praised. I called on him, and I was saved from my enemies. 18 I will love You, O Lord, my strength. My shield and the [b]horn of my salvation, my stronghold. The WORD of YAH, amongst other spiritual weapons given to us by YAH Almighty is what we need to flee from the devil (Azazel) and his demons plus all their temptations! 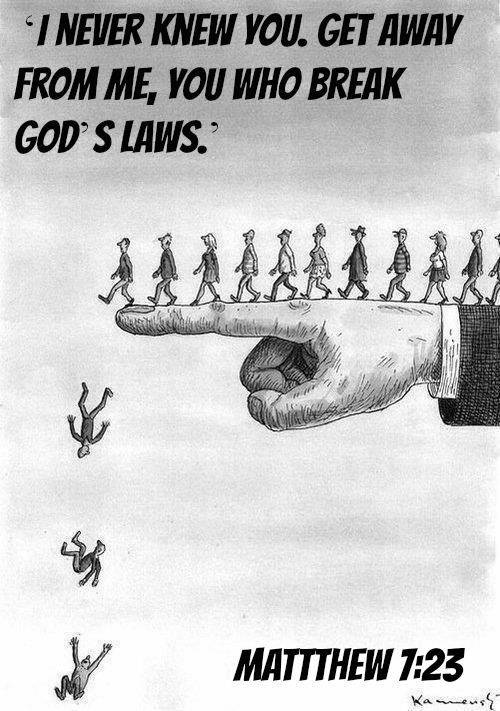 7 So place yourselves under God’s authority. Resist the devil, and he will run away from you. Our spirits and souls need spiritual food on a daily basis so as to be strengthened. If we don’t eat YAH’S WORD daily, we start to become withered spiritually little by little. We become so weak that when the devil, the enemy and his demons come in all shapes, forms and sizes, we would not be able to fight against them very well. We are not to be overcome by them! Rather we are to overcome them because YAHUSHUA HA MASHIACH who has gone ahead of us has already overcome them! Just like a seed, a plant needs water to grow, mankind needs water, that is to say, spiritual water to grow and produce good fruit! DOES YOUR SOUL THIRST FOR YAH ALMIGHTY? DOES YOUR SOUL THIRST FOR YAH’S WORD? A psalm by David when he was in the wilderness of Judah. 1 O Elohim, you are my Elohim. At dawn I search for you. in a dry, parched land where there is no water. because your mercy is better than life itself. 4 So I will thank you as long as I live. I will lift up my hands to pray in your name. 5 You satisfy my soul with the richest foods. My mouth will sing your praise with joyful lips. 6 As I lie on my bed, I remember you. Through the long hours of the night, I think about you. 7 You have been my help. In the shadow of your wings, I sing joyfully. 8 My soul clings to you. will go into the depths of the earth. 10 They will be cut down by swords. Their dead bodies will be left as food for jackals. 11 But the king will find joy in Elohim. but the mouths of liars will be shut. For the choir director; a maskil[a] by Korah’s descendants. so my soul longs for you, O Elohim. 2 My soul thirsts for Elohim, for El Chay. When may I come to see Elohim’s face? In conclusion, as we think about watering our own personal spirits and souls, we should also consider our children and those who have just recently accepted YAHUSHUA as their one and only MASHIACH as they need nurturing on a daily basis so not to fall off the path of eternal life! 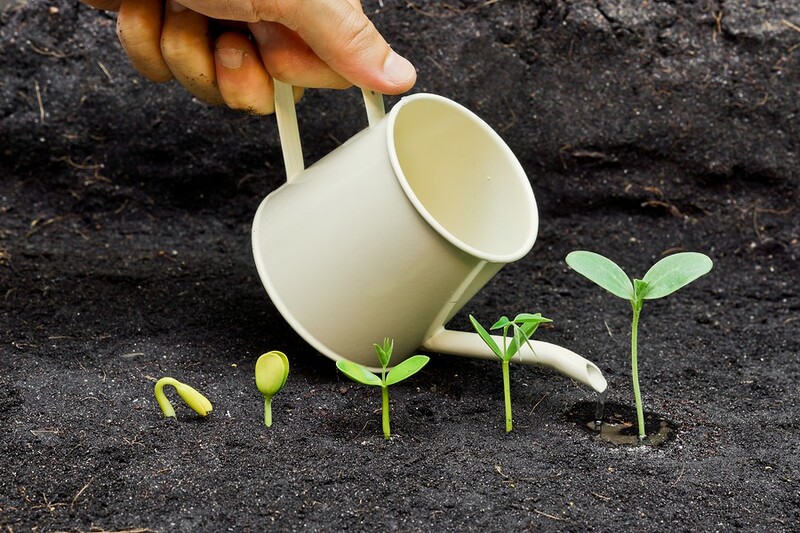 From before, during conception, pregnancy, birth and growth of a child or children, we are required by YAH Almighty to plant good seeds of Emunah/Faith in YAHUSHUA HA MASHIACH as well as water them constantly on a daily basis so that our children may join the path of eternal life and stay on it for life without wavering! 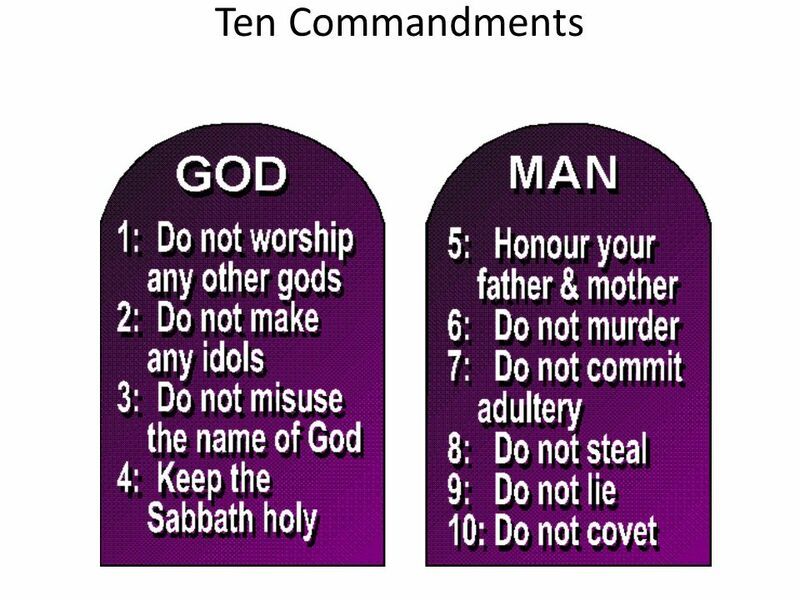 They were made for the Shammayim/Heavens (not hell, the lake of fire)! We therefore need to constantly guide them so they remain heaven-bound while on earth! They too are supposed to bear fruit for YAH! Just as any skill we want to acquire takes commitment and a routine of daily discipline, so does discipleship. We need to be spending time in prayer, doing good deeds, and reading and studying our Holy Biblical Scriptures on a regular basis, not just once in a while. Would a person who practiced his sports skills as regularly as you are reading your Holy Biblical Scriptures ever advance? The TORAH of Moses is like dew and rain that water our souls and enable us to grow into spiritual maturity. 4 Now YAHUSHUA knew that the Pharisees heard that HE was making and immersing more disciples than John. 2 (Although YAHUSHUA HIMSELF was not immersing, HIS disciples were.) 3 So HE left Judea and went back again to the Galilee. 7 A Samaritan woman comes to draw water. 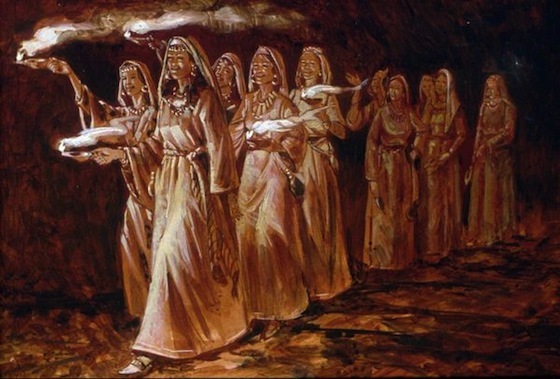 “Give ME a drink,” YAHUSHUA tells her, 8 for His disciples had gone away to the town to buy food. 17 “I don’t have a husband,” the woman replied.